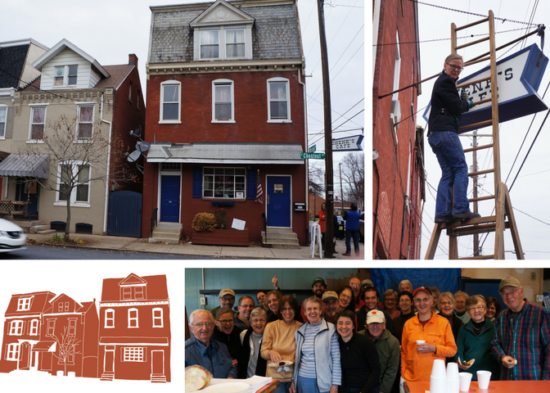 Members of ECSMC created Chestnut Housing Corporation (CHC) with a mission to provide affordable rental housing in the church neighborhood. When people have a permanent, affordable place to live, they become better and healthier workers, parents, and citizens. Low-income families should pay no more than 30% of their household income for rent and utilities, but rising rents and stagnant wages often make that impossible. In Lancaster County, a single parent would need to earn more than $15, or twice minimum wage, to meet that goal for a one bedroom apartment. In 2010, CHC acquired a single-family house in the 600 block of East Chestnut Street in Lancaster. After renovations, primarily using church volunteers, we began renting the house for significantly less than market rate to low-income families who have experienced homelessness. CHC fully paid off this first house through generous individual donations and excess church operating funds. In 2014, we purchased a two-unit town home in the 500 block of East Chestnut Street with a down-payment provided by church members. Lancaster Housing Opportunity Partnership (LHOP) offered a long-term, low-interest loan for the remainder. 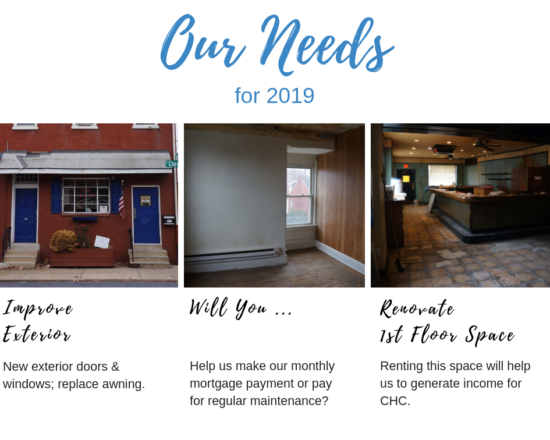 Most recently, we purchased and renovated another apartment building in the 500 block of East Chestnut Street that includes a former bar. This project was financed by LHOP and Eastern Mennonite Missions. Chestnut Housing now provides ten units of affordable housing. We have learned that our renters often need support and guidance to be responsible tenants, so we enlisted the support of community partners to help our tenants develop the skills and habits they need to be dependable renters and good stewards of their housing. Our community partners include Tabor Community Services, Milagro House, and Good Samaritan Services. The Gonzalez family has benefited from CHC’s community partnerships, as highlighted in this August 2016 article in The Mennonite. Kacie Gonzalez was able to purchase her own home in 2018. We can’t do it without you! Join us in bringing hope and positive change to our community. and your contributions enable us to meet that goal. A big thank you to Lydia Walker, Jamie Frey and Kim van Donk from Community First! 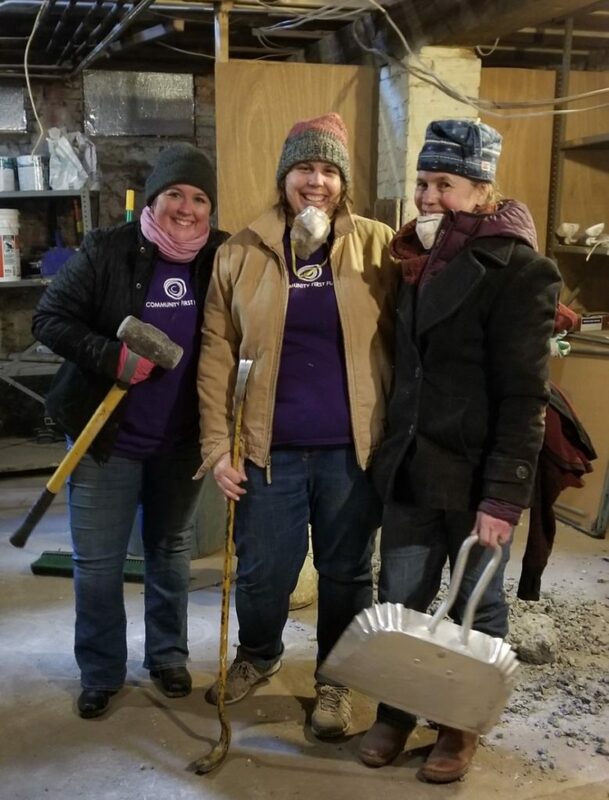 They helped break up cement and haul trash out of the building on MLK Day of Service.